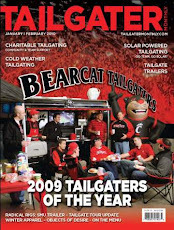 Celebrating an unforgettable season of tailgating and Bearcat Football! Bigger and Better in 2010! Do you like our tailgate video's? Click Here start creating your own video today. Animoto is extremely easy to use and makes videos in just minutes. Use the following referral code to save $5 on unlimited videos: ydjheskb Check it out!